At a camping site in Crow's Nest, Queensland, Australia, camper Stephen Paice wanted to take a shower one beautiful morning when he discovered something unexpected in one of the shower rooms. The facility makes use of shower bags with pulley systems. 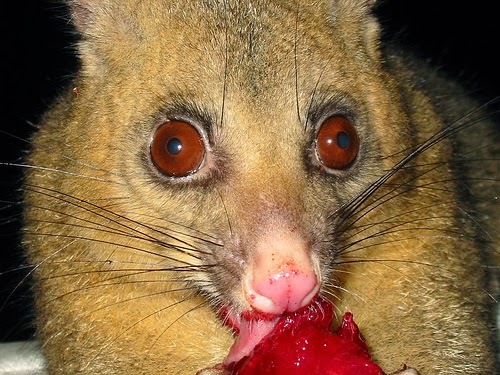 When Paice pulled one of the bags, he discovered a possum chilling inside of the bag. He decided to just let the possum stay there. He also returned with a video camera to film the cute animal who doesn't seem to be that all disturbed. Paice said that "This morning, I went in to take a shower and the shower in here is a canvas bag with a pulley system. I came in ready to take my shower, pulled the canvas bag down and just before I pulled the water in, I found this little fellow."